Have you heard about the recently released experimental Unity De-Lighting tool? 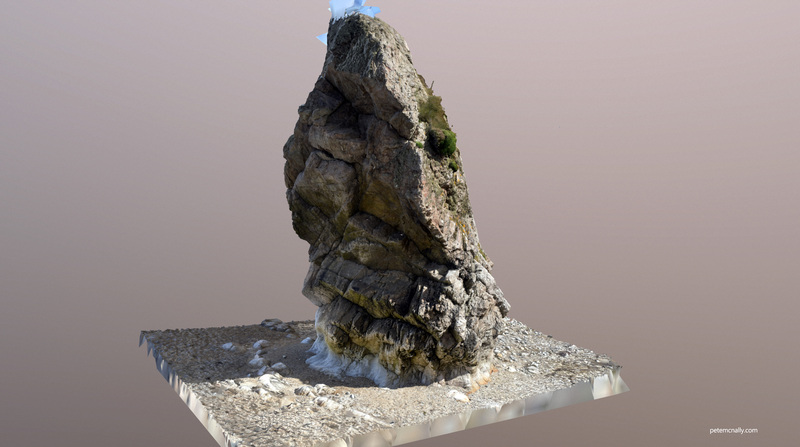 The thing is that artists interested in 3D scanning technology and game art could definitely benefit from using it. “De-lighting” can be described the process of removing light and shadows from the diffuse texture map created during photogrammetry. How does it work? Pete Mc Nally has published a thorough guide to using the tool for setting up lighting when it comes to scanned assets. A few weeks back I was lucky enough to be at the beach on a day that had 15 hours of sunshine, which was awesome for the farmer’s tan, but problematic for some of the scanning I’d planned on doing due to the harshness of the sunlight and heavy shadowing. I’d heard the Unity tool had been released so I figured I’d press on anyway and try it out. I captured about 120 photos of this sea stack, handheld with my DSLR. You can see the shadow baked into the stack and falling across the beach rocks and pebble surrounding it, a good test case for the Unity De-Lighter. I downloaded the latest version of Unity and the De-Lighter package and read up on the requirements. The De-Lighter requires at least the base albedo texture, an object space normals map, a bent normals map and an ambient occlusion map, with optional an optional position map and mask. I wouldn’t usually bake an OS normals map (or bent normals) so I wanted a solution where I could bake as many of the required maps out in one pass as possible, so I settled on XNormal. I decimated the stack model from 16 million tris to 10k and baked the textures at 4k. 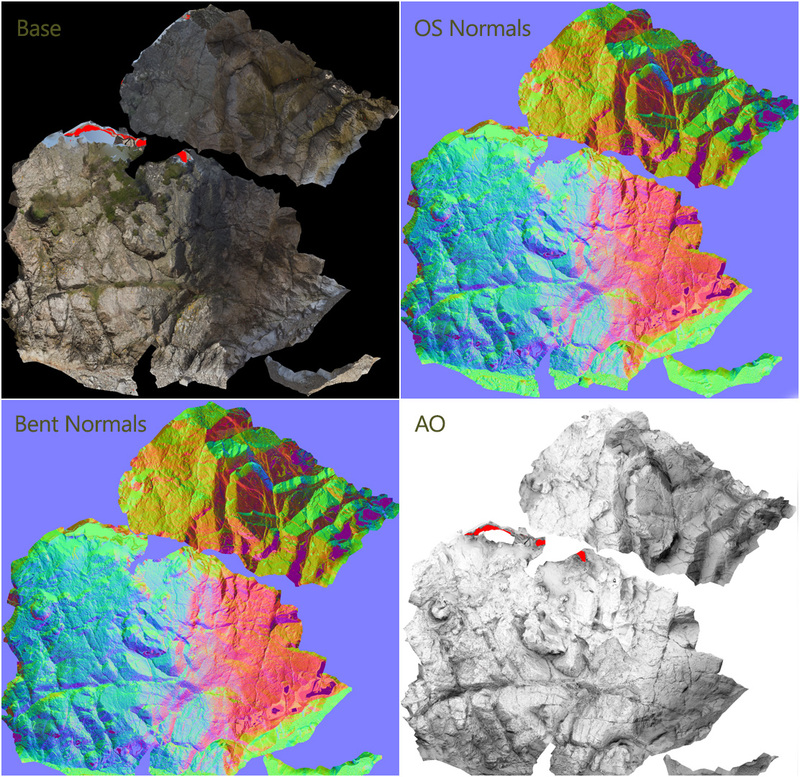 Here is the output from the bake (the red areas on the albedo are missed hits). Not much difference in this case between the OS normals and bent normals map, it’s quite possible I did something wrong here but it didn’t seem to hurt the end result much. It was easy to add the textures to the Unity De-Lighter and very quick to compute the light cancellation. Make sure to read the breakdown here.